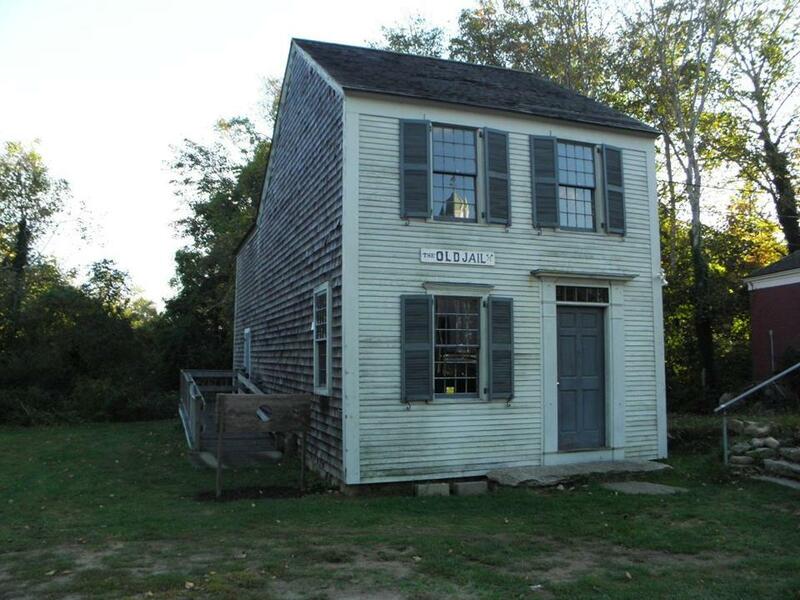 Barnstable claims the oldest wooden jail in America. BARNSTABLE — Derek Bartlett makes no promises of a ghost-sighting, but as he speaks of supernatural occurrences in a low whisper to a group of wide-eyed walkers, you almost expect a creepy visit from the afterlife. Bartlett is a ghost hunter. He has lectured on the paranormal at colleges and universities and is the founder of the Cape and Islands Paranormal Research Society. He is also the tour guide on haunted, history, and ghost-hunting tours through Barnstable Village, where for up to three hours he spins stories of ethereal apparitions. Bartlett maintains that he has seen ghosts, heard footsteps, and even had them whisper his name in the spine-chilling darkness of a century-old courthouse. A former Marine, he also claims to have been followed home after ghost hunting by a black cloud of energy, along with being punched, choked, and pushed to the ground by invisible forces. Bartlett leads walkers along Barnstable Village’s charming Main Street, pausing at buildings that have stood since the 1700s, offering both a history lesson and more than a few disquieting stories that send shivers down the spines of even the cynics. The longer he talks, the more walkers begin looking around anxiously, pointing flashlights in the darkness, perhaps waiting to experience something astonishing. “People were flabbergasted,” he said. “That man hasn’t been on another tour since,” Bartlett said. 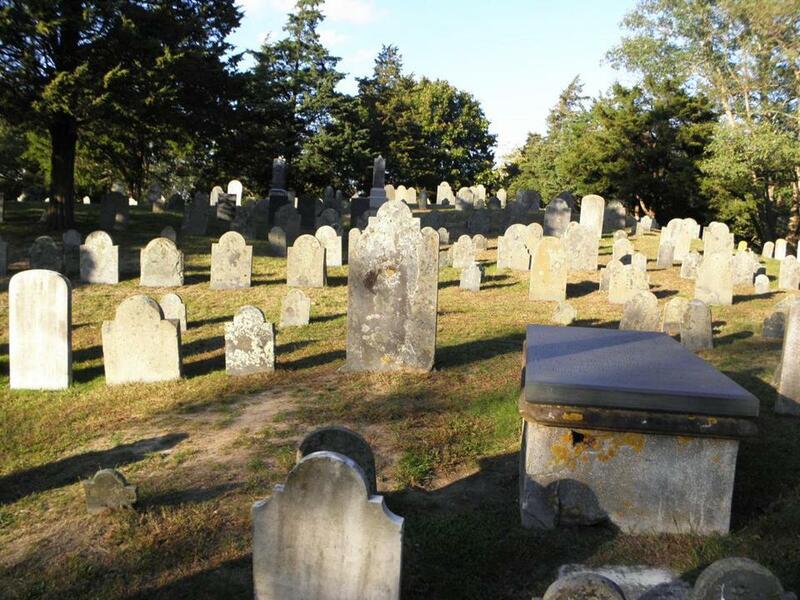 Cobb’s Hill Cemetery in Barnstable is, according to ghost-hunter tour guide Derek Bartlett, actively haunted. Bartlett, 42, has been intrigued by the paranormal since he saw the film “The Exorcist” when he was 7. In the fifth grade he turned in a book report on Stephen King’s novel “The Shining.” He began researching paranormal activity in 2000 after taking a photograph that defied explanation. He had attempted to make an image of a ghostly woman sitting on a bed, but the flash failed. Yet when he developed the film he noticed a blurry image of the woman and what resembled a streak of lightning. There was no light source in the vicinity. He founded the research society the following year and started leading tours in 2005. He conducts nightly haunted and history walking tours from April until mid-November, with his ghost-hunting tours held on Monday and Friday nights. He also has a themed private tour for couples called the “Love You to Death Haunted Tour” that includes champagne and dessert. Tours begin at the Old Jail on Route 6A in Barnstable Village. The approximately 1-mile walk features numerous stops at allegedly haunted houses, followed by an hour in a cemetery. It concludes in creepy darkness back at the Old Jail. One of the tour’s first stops is at 3217 Main St., a pleasant looking office building with a cozy porch and a string of colorful lights. Bartlett relates the tale of a lawyer who rented a first-floor office there, was working late one evening, heard a strange noise, and saw a door latch to a closet drop down. Things turned more menacing the next night when the lawyer said he witnessed a woman in a Victorian dress entering the room carrying a hatchet. The lawyer gave his notice the next day, just as a moving van was packing up his belongings. “I began doing research on the building and I found a newspaper article from 100 years earlier where someone related the same story of a woman carrying an ax or a hatchet,” Bartlett says. The nearly 200-year-old Barnstable County Courthouse where Daniel Webster once tried cases is another popular destination. Built in 1835, the courthouse is reputed to have been the scene of numerous supernatural occurrences. Bartlett says he once heard a voice whisper his name in the basement, even though he was alone at the time. Judges have reported seeing shadowy figures in the balcony during trials. At the nearby Barnstable Comedy Club, where plays are performed, walkers are told about an elderly man who has haunted the kitchen for decades, repeatedly opening cabinets and removing their contents. A former ticket collector who died a few years ago has reportedly been seen sitting at her booth, offering a smile when asked a question before suddenly vanishing. The tour then heads to Barnstable House, known as “The House of 11 Ghosts,” before proceeding to the Barnstable Tavern, previously the site of a hotel that once hosted Abraham Lincoln. Captivated walkers listen to tales of doors inexplicably opening and closing and of phantom footsteps in the hallway stomping on the ancient floorboards. It’s at this point, Bartlett says, that some anxious walkers head for their cars. But those who depart early miss the tour’s eerie finale. At the hillside Cobb’s Hill Cemetery, Bartlett announces, “You are entering one of the most actively haunted cemeteries on Cape Cod.” Iron bars, originally placed to keep the spirits in, border the 17th-century burial ground. Walkers stroll past gravestones with flashlights in hand, hoping to discover signs of life among the dead. “I’ve seen people leave the tour because of what happened next,” he says. During one tour, a walker screamed and fled from the jail. Later, he said he had felt something grab him. “He freaked out,” Bartlett said. Walkers have also reported feeling something pushing them from behind. Bartlett mentions this before turning the lights back on. He scans the room. The walkers are sufficiently disturbed by all this talk of the afterlife. His message has been heard. Rob Duca can be reached at robaduca@gmail.com.